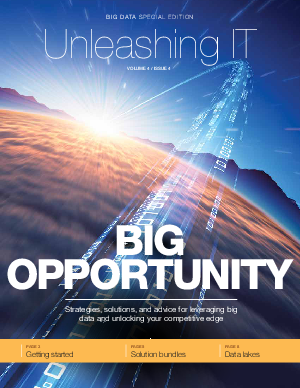 Big data presents tremendous opportunities for every company in every industry. It’s purely a matter of finding the right use cases, the right strategies, and the right partners that can turn those opportunities into real business value. This edition of Unleashing IT highlights the strategies, solutions, and providers that can help you unlock your competitive edge.